Bangalore based fintech startup company offers flexible and easy EMI without any credit cards at selected stores.Priya Sharma from Delhi, Lizzie Chapman from London, and Ashish Anantharaman from Mumbai joined together to start this venture.Their aim is to provide EMI options without credit card.Founder of this startup were previously worked in big UK based Software company and later come out from that and started this venture. 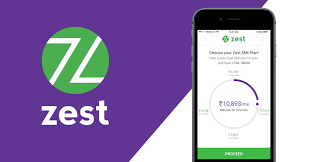 EMI without credit card is now possible with Zest money app.Now you can buy products from selected stores without any credit card on EMI option. It is great opportunity for merchants who wants to join hands with Zest money to increase their sales.